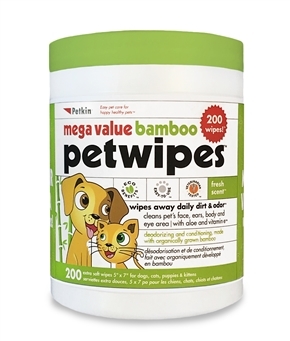 Bamboo Eco PetWipes provide a fast, convenient way to keep your pet clean and healthy everyday. 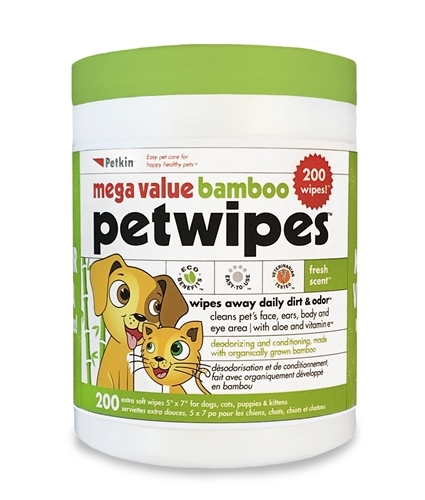 Each soft bamboo cloth wipe is moistened with a natural cleansing formula that helps maintain a clean and healthy pet coat while restoring skin moisture and softness. Gentle enough to use everyday around pet’s eyes, ears, face and body. Won’t remove spot flea treatments.